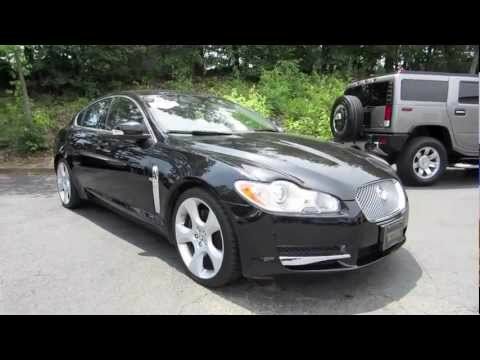 You'll like the Jaguar XF if you want a luxury sedan that focuses on performance with the option of a supercharged V8, but still has plenty of comfort features. I'd like to highlight the fact that the acceleration is pretty nice. My dad got me this car. and honestly, it's a great car. It's pretty comfortable, relatively good mileage, and gets the job done. Good on gas as well. Not really any problems that I can identify. Sports sedan, drive, very pretty, interior appointments, color, ipod port, Bluetooth, burl wood, sunroof. JAGUAR IS RECALLING 7,918 MY 2009 XF VEHICLES. THE REAR SAFETY BELT D-RING ASSEMBLY MAY NOT ROTATE PROPERLY AROUND THE SAFETY BELT ANCHORAGE MOUNTING BOLT. IF THE ASSEMBLY IS NOT HELD TOGETHER WHEN TIGHTENING, THE D-RING AND/OR WASHER CAN SEPARATE FROM THE SHOULDER OF THE SPACER, ALLOWING THESE PARTS TO BE PARTIALLY CLAMPED BY THE SPACER, FORMING A BURR ON EITHER THE D-RING OR THE WASHER AND SUBSEQUENTLY LIMITING PROPER ROTATION OF THE D-RING. DEALERS WILL INSPECT THE OUTBOARD REAR SAFETY BELT D-RING AND, IF NECESSARY, THE D-RING ASSEMBLY WILL BE REMOVED AND ANY BURRS ON THE D-RING OR WASHER FILED FLAT. THE D-RING ASSEMBLY WILL THEN BE REINSTALLED TO CORRECT THE CONDITION. THE RECALL IS EXPECTED TO BEGIN ON OR BEFORE AUGUST 25, 2008. OWNERS MAY CONTACT JAGUAR AT 1-800-452-4827. Jaguar will notify owners, and dealers will replace the passenger frontal air bag assemblies, free of charge. Parts are not currently available. Owners will be sent an interim notification around July 31, 2016. A second notice will be mailed when remedy parts are available. Owners may contact Jaguar Land Rover customer service at 1-800-452-4827. Jaguar's number of this recall is J069. JAGUAR IS RECALLING 3,754 MY 2009 XF VEHICLES FOR INSTRUMENT CLUSTER SPEAKER FUNCTION PROBLEMS. THE SPEAKER WIRES MAY FRACTURE. AS A RESULT, THE SPEAKER WILL CEASE TO OPERATE. IF THE SPEAKER FAILS, THE FOLLOWING AUDIBLE NOTIFICATIONS ARE IMPACTED: TURN INDICATOR, SEAT BELT WARNING, LIGHTS 'ON' WARNING, DRIVER'S DOOR OPEN WITH KEY IN IGNITION, DRIVER INTERVENE (ADAPTIVE CRUISE CONTROL VEHICLES ONLY) AND SEAT MEMORY. THE AUDIBLE SEAT BELT WARNING IS TO REMIND DRIVERS TO WEAR THEIR SAFETY BELT. IF THE AUDIBLE WARNING IS NOT PRESENT, DRIVERS MAY NEGLECT TO WEAR THEIR SAFETY BELT, THEREBY INCREASING THE RISK OF INJURY OR DEATH IN THE EVENT OF A CRASH. DEALERS WILL VERIFY THE INSTRUMENT CLUSTER SPEAKER FUNCTION AND RECONFIGURE THE INSTRUMENT CLUSTER CONTROL MODULE SOFTWARE. THE RECALL IS EXPECTED TO BEGIN ON OR ABOUT DECEMBER 1, 2008. OWNERS MAY CONTACT JAGUAR AT 1-800-452-4827.